Southside Harm Reduction Services Fundraiser! Southside Harm Reduction Services hasn't added a story. Southside Harm Reduction is a mobile syringe exchange and harm reduction program in Minneapolis. Our mission is promoting the right to health, safety, and autonomy for people who use drugs. A kit of new equipment needed for safe use costs about $3-5. This would include 20+ rigs, filters, cookers, ties, and supplies for sterility (alcohol pads, antibiotic ointment, etc). This might last someone a week or more. A $5 donation will allow somebody to use safely for a week, possibly preventing a lifetime cost of injury or disease. One new rig costs less than 8 cents! One new syringe can prevent the transmission of HIV, HepC, the development of an abscess or other injury. A tank of gas in the Southside syringemobile is about $30 and it lasts us over a week doing deliveries throughout the Twin Cities. Point is, your donations go a long way, and make a huge difference, no matter the size. In the summer of 2018 Southside Harm Reduction has distributed almost 60,000 new syringes. We have disposed of close to 20,000 old syringes collected from the community. We have delivered thousands of doses of naloxone (narcan), which is used by people in the using community to reverse overdoses. We are providing access to life-saving equipment for the community so people can have the ability to care for their own health and the health of their friends, family, and neighbors. We believe in the autonomy and humanity of people who use drugs along with all people. 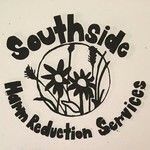 Southside Harm Reduction Services hasn't posted any updates yet. Southside Harm Reduction Services is managing the funds for this campaign.